Offices Australia Wide – Melbourne, Sydney, Brisbane, Canberra, Adelaide, Perth, Darwin and Hobart. Fixtel is a leading Australian owned and operated telecommunications company, formed by leading industry experts to provide quality telecommunications services and solutions. We have more than 25 years of experience in installation, maintenance and support for phone systems, IT networks and all other related services. Fixtel meet communication needs for private and public businesses, schools, government agencies and other telecommunications organisations. Fixtel value long term relationships with our clients, employees, contractors and suppliers. We are always striving to be a safe, honest, efficient and fair to all our clients big and small. 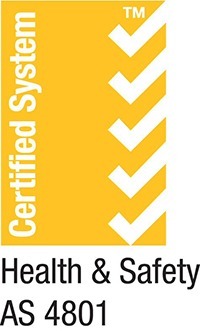 Fixtel have Accreditation for ISO 4801: O.H & S Management Systems. At Fixtel, we pride ourselves on offering quality service, solutions and value for money. We value our relationships with new and long-standing clientele and strive to provide continuous and best of breed service and solutions. We understand that value is not just cost; but improvements for your business in productivity play a key role in ensuring your business goals can also be achieved. Our motto is to treat customers as “long term” partners. We have customers that have been with us for over 25 years and their recommendations are how we measure our success. The Australian Institute of Project Management (AIPM) is the premier, longest-serving body for project management in Australia. ACMA is responsible for ensuring media and communications works for all Australians. It does this through various legislation, regulations, standards and codes of practice. The IT Infrastructure Library® (ITIL®) is a collection of best practices in IT Service Managment (ITSM). The Australian Institute of Company Directors makes a positive impact on society and the economy through governance education, director development and advocacy. The Business Process Framework (eTOM) is a critical component of Frameworx, the TM Forum’s blueprint for enabling successful business transformation. BICSI provides information, education and knowledge assessment for individuals and companies in the ICT infrastructure industry.